Between paying down that college debt and simply making rent at the start of the month, determining how and where to take control of a financial life isn’t exactly covered in Marine Bio. Tony Steuer, financial expert and award-winning author of the new book, GET READY! : A Step-by-Step Planner for Maintaining Your Financial First Aid Kit is sensitive to how truly overwhelming finances can be, and has devised a list of the 4 most critical things every recent grad should know about managing their financial life. Actually read the documents. All insurance policies are not the same. Prior to signing any financial documents, read carefully, and importantly, be sure that what you think is covered is actually covered. For example, renters insurance policies do not cover floods. Floods are covered under their own policy. Watch your debt -- and avoid consolidation. Be wary of college debt consolidation loans. A debt consolidation loan is actually a refinanced loan with an extended repayment period, which means it will take longer to pay off your debt, and it does not mean that your outstanding debt amount is reduced. Make a plan before acting. As life requires major purchases, always plan first. Start by considering what your goals and priorities are.This includes paying off college loans, saving for retirement, buying a home and taking a vacation. Write them down, and keep it somewhere as a guide star. Andrew McNair is the president of SWAN Capital (www.SWAN-Capital.com), an independent financial services firm in Pensacola, Florida. He has experience in the fields of retirement income, wealth preservation, and long-term care and has a strategic partnership with an attorney for estate planning services. McNair also is the author of Tithe: A Living Testimony and Don’t Be Penny Wise & Dollar Foolish. His financial commentary has appeared in the Wall Street Journal, Forbes, Fox Business, Market Watch and Kiplinger. 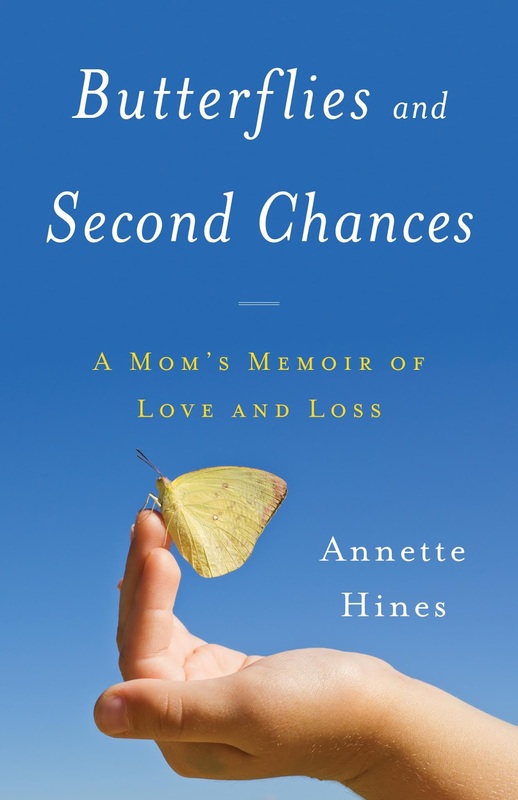 ANNETTE HINES is the author of Butterflies and Second Chances: A Mom’s Memoir of Love and Loss and a founding partner of the Special Needs Law Group of Massachusetts. She brings personal experience to her practice as the mother of two daughters, one of whom passed away from mitochondrial disease in 2013. This deep, personal understanding of special needs fuels her passion for qualityspecial needs planning and advocacy and drives her dedication to the practice. Recognized as a Distinguished Citizen by ARC Massachusetts and cited for public service by both the Massachusetts State Senate and House of Representatives, Hines works tirelessly on behalf of people with disabilities. I had a chance to do a great interview with her. What's something parents should do early on to help provide a secure future for a special needs child? The first thing parents should do early on to provide a secure future for a special needs child and for their entire family is to start pulling together their team. First, they should look to their trusted professionals and advisors such as attorneys and financial professionals tohelp guide them. Then they need to pull together their clinical and technical team to advise them on specific special need s issues relevant to their child so they can learn to be the expert in their child. Next, they need to pull from their community such as the girl scouts and boy scouts, after school and library programs, church and synagogues and so much more. Last, but so important, look to their families to develop strong team members, remembering that sometimes it’s difficult for grandparents to accept special needs in the same way that parents do and they may need more time and flexibility to do things in their own way. By following these guidelines you’ll assure yourself of having a strong safety net and of not feeling so alone – a feeling all too common for parents of young special needs children. And if disaster strikes your family, you’ll be ready. Where are good places to go to stay up to date on the latest medical or educational research and legal issues regarding special needs children? Parent groups are always the best places to go for resources and sometimes disability specific organizations can be very helpful as well. For example, www.thearc.org, is a national organization that has great information about their state chapters that serve people with intellectual and developmental disabilities. Since my daughter passed away from mitochondrial disease, I spent lots of time working with www.mitoaction.org. Their website was very educational. But because I was very lonely, I sought out many in-person meetings and conferences as a way to connect with other families that were going through similar experiences like mine. It can be very difficult to get out for an evening or a Saturday morning, never mind a whole day or several days! But if they have child care, or stipends or scholarships, and if you can make it happen, it can really be worth your time to go to an event that both families and professionals attend together. You learn the latest information and you are able to get those human connections you need to keep from going crazy! Why is it important to have a plan for transition from child to teen to young adult? Educational services are an entitlement in our country. That means that if our children need certain services to access their education (and we can prove it!) then our state needs to provide those services no matter what the cost. However, that is not true of adult services once our children age out of the educational system and become legal adults. It is true that as their parents we no longer have a legal duty to support them, house them, feed them, or physically care for the them. But in many instances, if we let them become a ward of the state, there are just no good options anymore and there is nowhere for them to go. That is at the very basic needs level of the pyramid. But who wants that for their children? We want our children to thrive! All our children! Special needs or otherwise. And that requires very careful planning and very diligent advocacy because personal and governmental resources are scarce. We have to start thinking about this early and build on it from year to year as our children grow. Just as you don’t suddenly say in your typical child’s senior year, “hey, let’s start planning for college”, you also don’t start planning for transition to adulthood for special needs child when they are in their last year of school. How can families make sure that other children in the family aren't overlooked? This is truly a tough question to answer and it will be different for every family. But it lies in the fact that every family member is an individual and is important to the family and the whole family cannot serve one person. Each kid needs to have their thing that makes them special. Maybe its ballet or kung fu or soccer. But the thing that makes them special can’t be that they are great to their special needs brother. They have to have their own identity. And mom and dad need to have their own stuff that interests them too. You still have to take vacations, even if modified. You still need to do holidays, even if modified. You have to live – it’s really important to show your kids that your family has traditions and customs just like every other family does. This is the premise of the Mosquito Creek Detective Club. I had a chance to review Mosquito Creek Inn, and I liked it. It appealed to both of my daughters as well. It was easy enough that reluctant readers can get through it, and involving enough that strong readers will enjoy it. You can learn more in the book trailer below. I recently had a chance to review The Dolphin's Secret: A Meditational Journey for Children by Meryl Best Lowell. This how-to storybook introduces children to mindfulness techniques for easing anxiety and promoting happiness. The book is a child-friendly introduction to Yoga Nidra, a form of guided meditation with mindfulness techniques. It was written to help children learn to feel calmer and happier. The story takes the context of Meri the mermaid and Aloha the dolphin, and is designed for children 4-8 to be used be rest time or bedtime. It's a fun, easy to way to help kids visualize calming techniques and breathing. Some parents might find it a little over-the-top if they aren't in favor of things like meditation and mindfulness, but for those who are looking for a way to encourage these practices in their kids, it's a good book. I previously posted about What a Great Word - a devotional book that helps readers focus on a certain word each day and what it means in the context of Christian faith. I really enjoyed it, so I was happy to review two new versions of the same type of devotional. A gift book offering inspiring devotional thoughts, quotes, and prayers intended to encourage and challenge those who are graduating from high school and college, or those simply moving in a new direction. The perfect gift for Mother’s Day offering a fresh perspective that helps readers focus on one word in Scripture each day to strengthen their faith and see God’s hand at work. Both of these are great for the target audience. I like the quotes in the book for grades - and while it is most appropriate for a time of transition related to high school or college, it is also appropriate for those completing a different type of transition, whether it's completion of a vocational program or some other important "completion" milestone. The one written for moms is also good. Most moms can use a pick-me-up at some point, and this book manages to choose words and discuss them in a way that will resonate with all moms, no matter what stage in life. With universal applications, moms who are at the beginning of parenting, almost empty nesters, or those with grown children will be able to get something out of this book. Warm weather and longer days are right around the corner, which could mean more sunshine along with sun showers. Spring gives us the perfect reason to plan for a weekend getaway or plan some fun activities with the whole family right at home. In this video, lifestyle and travel expert, Julie Loffredi will share her favorite family-friendly activities to kick start the fun, rain or shine! Julie Loffredi is a journalist and award-winning television news reporter. She has appeared on NBC TODAY show, CNN, ABC Good Morning America, Fox News Channel, Hallmark Channel, NBC 30, ABC 6 and Fox Providence and others. Julie’s vast experience crosses over into many media platforms – TV, radio, and online. Her reporting work is currently featured on FoxNews.com, USAToday.com, ABCNews, Oyster.com, Clark Howard, The Points Guy, Huffington Post, Yahoo! Travel and others. Julie is also viewed as a media expert and is a Continuing Education Instructor at Rhode Island School of Design. She was recently nominated as “Entrepreneur of the Year” by Newport Chamber of Commerce. In addition to her television work, Julie is also an artist and photographer. So many kids get asked: "What do you want to be when you grow up?" For some kids, they've always wanted to be a teacher, or firefighter, or police officer. Other times, the answer a kid gives morphs into a different career - from movie star to stage manager, from astronaut to science teacher, from artist to graphic designer. Sometimes, what we want to do even as adults changes: I started college with the idea of being a pediatrician and now teach multiple subjects; my husband was going to teach music and does IT instead, my in-laws were theatre majors who became a daycare provider and an electrician, and my father was an art major who is now a toolroom supervisor. Maybe the focus shouldn't be so much on a career aspiration, but rather on a set of values or an idea of constantly striving to be the best we can be wherever we are, whether it's the final stop on a journey or somewhere on the way. 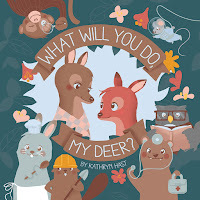 I got to review a book by Kathryn Hast, What Will You Do, My Deer?, that explores the possibilities for not just “becoming something,” but also, for doing something—for doing something good. The book reflects career exploration, adventure, growth, development, and more. It's a great story to start little kids dreaming about what they can be, but also remind older kids (and even adults) that there's always a need for a sense of wonder, progress, and love. The author, a mother of two young children and MFA in writing, wrote the children’s book in one sitting, after a frustrating (adult) day at work. Teaming up again with the ever-talented illustrator, L.M. Phang, Hast’s third release is a bit divergent from her first two works. 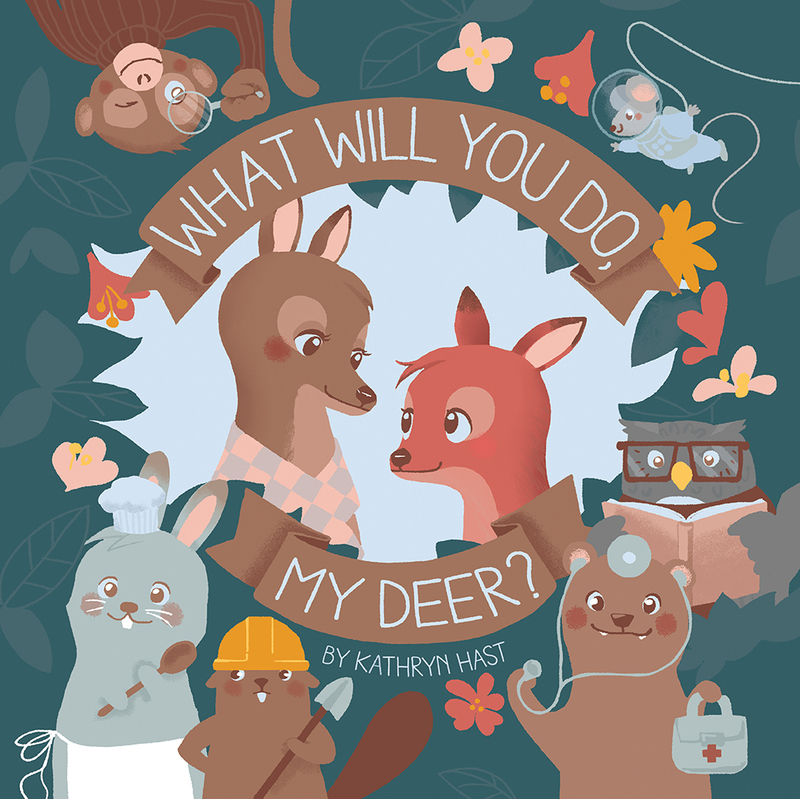 While familiar illustrations from Otis Grows and Batty Betty are peppered throughout,What Will You Do, My Deer? shines the spotlight this time much more on the reader, encouraging questions, imagination, and dreams. Kathryn Hast has a Master’s of Fine Arts degree in writing and a Master’s degree in Education. She is from York, Pennsylvania, and she lives in Asheville, North Carolina with her husband and two children. She has one dog named after a Beatles song, and one that barks at the television. Learn more at www.lujubooks.com, Facebook, Twitter, and Instagram. What Will You Do, My Deer? can be purchased from www.lujubooks.com and Amazon. By Jeanne Foley, Co-Founder of The Groomsman Suit. Naomi Danis is the managing editor of Lilith magazine, independent, Jewish & frankly feminist. Her fifth book for young readers, While Grandpa Naps, is inspired by a true family story. She finds hope in small acts of kindness, especially by children, that often go unnoticed in our busy world. Like her previous, I Hate Everyone, only quieter, While Grandpa Naps explores the sometimes surprising experience of love. She lives in Forest Hills, New York. Junghwa Park is a happy and whimsical illustrator based in Jersey City, New Jersey. With the dream of becoming an artist, she immigrated to America when she was 17. She graduated with a BFA in Illustration from School of Visual Arts in 2014. Her illustration is inspired by her home in South Korea, with its nature, family farms, crafts, and organic way of life. She has illustrated for various clients, including Pottery Barn, The Washington Post, and The Boston Globe. Her life’s mission is to share her happiness with the world, which she loves doing through her art and crafts.